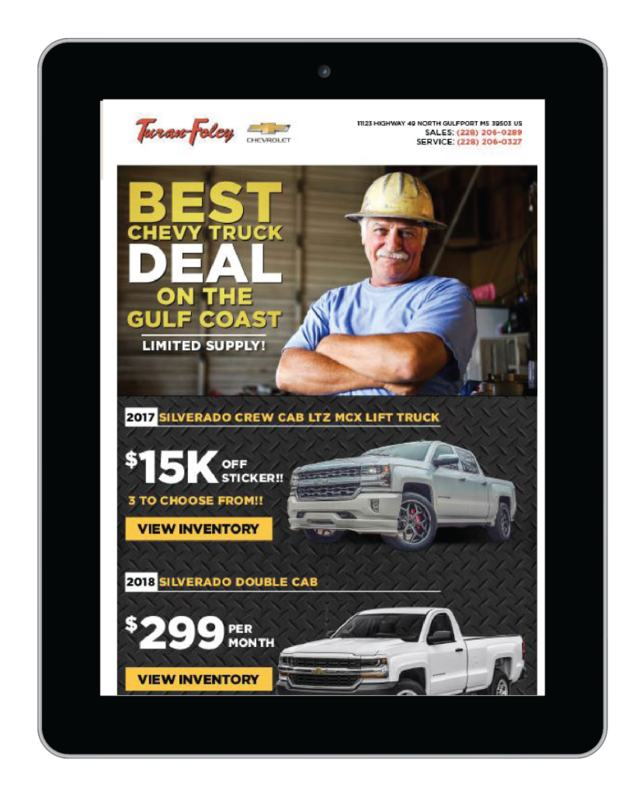 Turan Foley is a Chevrolet, Cadillac and Buick dealer on the Mississippi Gulf Coast with a competitive new and used inventory. As an auto dealership, their priorities are to grow business while remaining trustworthy and strengthening their brand. By partnering with AMG, they have been able to do just that. They have a strong digital presence and are able to reach auto intenders wherever they are online through display ads on 97% of websites, search engine marketing, targeted e-mail campaigns, and Facebook. Find out how Alabama Media Group built brand awareness, acquired more leads and ultimately increased business for Turan Foley. The digital awareness campaign continued in 2017 with display ads on the extended reach network, AL.com, Nola.com (one hour from client’s location), and Gulf Live, targeted to auto intenders. These also included InStory videos that reach a much more engaged audience, appearing in the middle of content that AL.com readers are consuming. Turan Foley also invests in CPC display which is done with Google. Ads are served to the target audience based off their search results. The client only pays when the ad is clicked on. 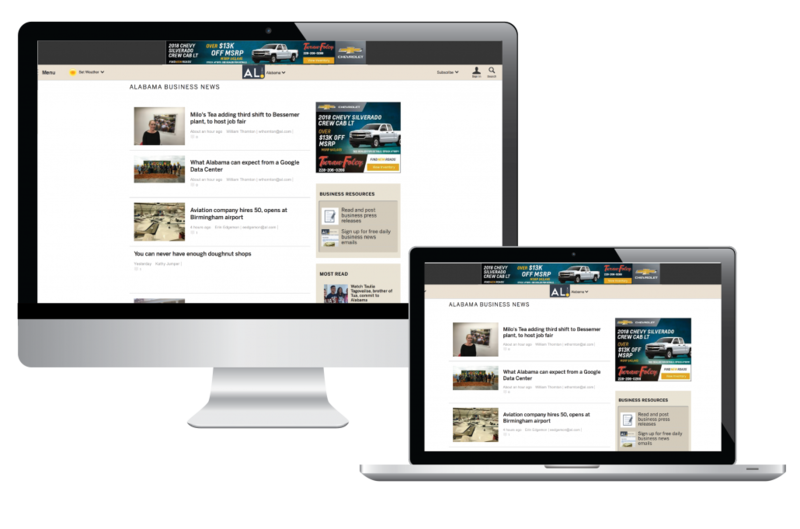 Each month, Turan Foley picks a certain car, truck, or SUV to focus on and the e-mail is sent out with custom creative to the target audience – an example would be a new SUV targeted to moms or those with families. 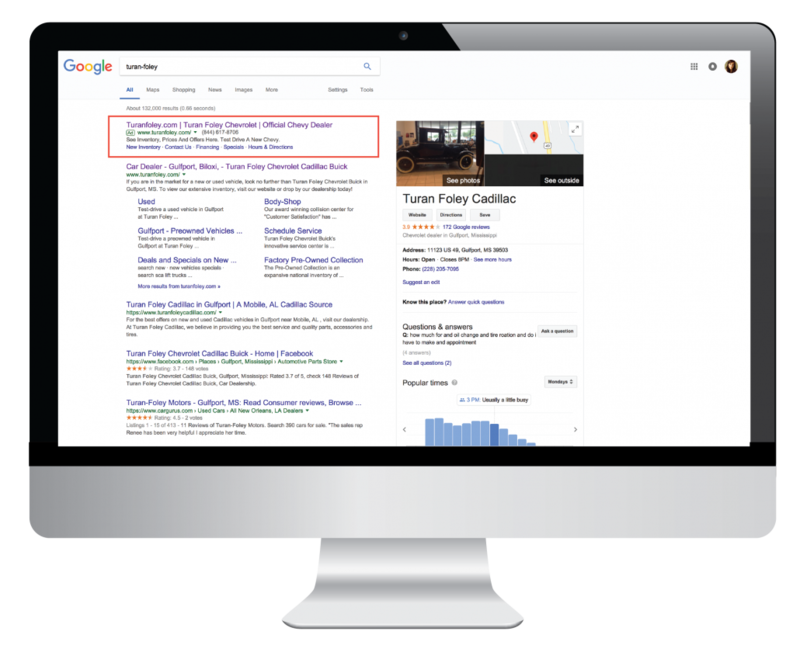 Alabama Media Group launched a search engine marketing campaign across the top search engines: Google, Bing, and Yahoo!, to increase Turan Foley’s visibility in search results as consumers make major automotive purchase decisions. They run separate campaigns for Chevrolet, Cadillac, and Buick. Dynamic search engine marketing is a unique tool that allows AMG to pull in inventory from Turan Foley’s used cars. The search engine keywords are automatically updated based off the inventory – when that car is sold, the keyword is removed, thus Turan Foley is only paying for clicks relative to the cars currently in inventory. We can prove performance by showing what cars were sold and what keywords we removed as they were sold. Since social media channels are a platform where customers share their experiences and show support for brands and services they enjoy, the campaign utilized paid social media to engage with customers and build Turan Foley’s social presence. The Facebook ads were done through the Ads Manager platform, where the ads would be sponsored and show up directly in the news feed of the target audience. 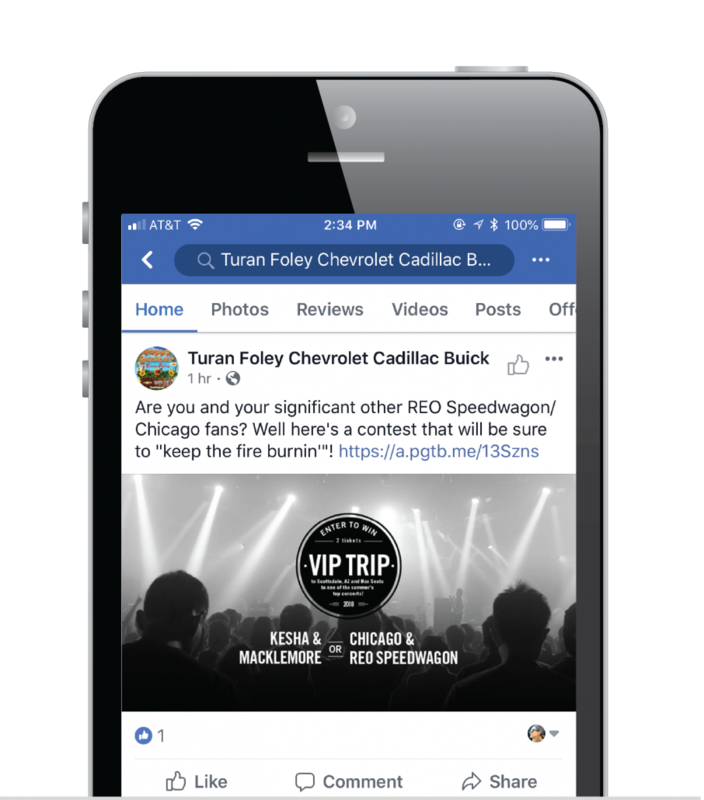 With behavior and geo-targeted, sponsored posts of inventory, deals, and specials, Turan Foley has increased its digital reach of auto intenders to where they are most engaged online – in social media and on their own news feed.